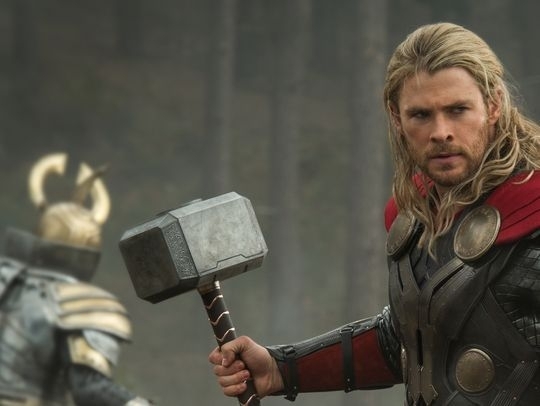 There’s two new photos from Marvel’s Thor: The Dark World, thanks to USA Today. 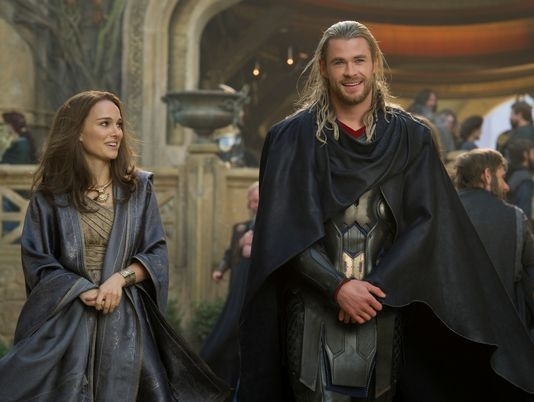 One of the pictures shows that Natalie Portman’s Jane will travel to Asgard with Thor; and further shows the Game of Thrones influence in the aesthetics. Now onward the part most people are wondering about: where does Loki fit in the scheme of things? Thor will find himself overwhelmed against the Dark Elves, and will reach out to his imprisoned brother for help. A shaky alliance between Thor and Loki sounds like fun. Hemsworth and Tom Hiddleston have an on screen chemistry that works in that Shakespearean brotherly way. And you know Loki will verbally assault Thor given every opportunity. Thor: The Dark World releases theaters November 8.